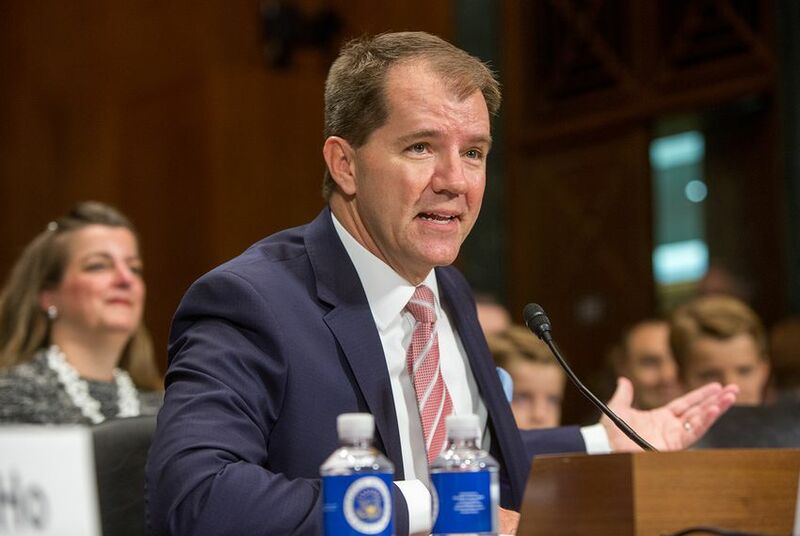 Texas Supreme Court Justice Don Willett was confirmed Wednesday afternoon to fill a long-open seat on the U.S. 5th Circuit Court of Appeals, a historically powerful and conservative court that represents Texas, Louisiana and Mississippi. A confirmation vote on Jim Ho, a former state solicitor general and the other Texas nominee to the 5th Circuit, is expected later this week. Willett — confirmed 50-47 by the U.S. Senate — was just the latest in a slew of judicial nominations recently passed through the upper chamber. The Republican-dominated Congress has been evaluating and confirming nominees at a comparatively bracing pace after years of partisan delay tactics under the Barack Obama administration. Willett, who has served on the state's highest civil court since 2005, was first catapulted to the national stage during the 2016 presidential race, when Trump named him a potential U.S. Supreme Court pick. Willett has also drawn a great deal of attention for his 2015 concurrence in Patel v. Texas Department of Licensing and Regulation, an opinion involving state regulation of eyebrow threaders that some criticize as judicial activism. But he might be most famous for his Twitter presence — a subject that dominated his Senate Judiciary Committee hearing last month. Willett's confirmation came over the objections of several Democratic senators. At a news conference Wednesday morning, U.S. Sen. Jeff Merkley, D-Ore., called Willett an "extreme individual" with a "frightening record." "Can any woman coming before this individual expect a fair hearing?" Merkley asked. "The answer is probably not." Before the afternoon vote, U.S. Sen. Ted Cruz, R-Texas, spoke on the Senate floor about Ho and Willett, describing the judges as "close friends" he has known for decades. He implored Democrats to set aside "partisan rancor" and confirm both. "They are brilliant. They are principled. They are humble men of deep character," Cruz said. "And I am confident not only will they faithfully follow the law on the Court of Appeals, but...I predict that Jim Ho and Don Willett will become judicial superstars." Willett will assume a seat that was vacated in 2012. All four openings on the 5th Circuit have been classified as "judicial emergencies." Their confirmation process was relatively speedy — it's been less than three months since President Donald Trump first announced their names. Former Texas Supreme Court Justice Priscilla Owen, for example, was nominated to the 5th Circuit in 2001 but not confirmed until 2005. But in recent months, Congress has been moving relatively quickly to confirm federal appeals court judges, empowered in part by a rules change in the U.S. Senate. The new post leaves Willett's seat on the Texas Supreme Court open. Jimmy Blacklock, Republican Gov. Greg Abbott's general counsel, has already filed to run for the Place 2 seat and won Abbott's endorsement. Democrat Steven Kirkland, a judge in Harris County, has also filed for Willett's seat.